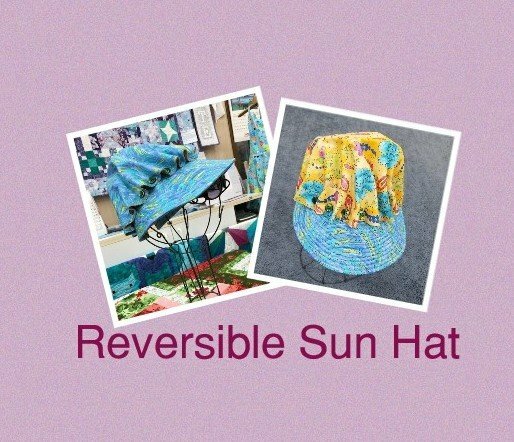 Get ready for Spring with a saucy little reversible hat you can wear gardening, sunbathing or just covering up a bad hair day? We’ll be sewing circles and learning echo quilting and the secret of easy buttons! Please join us as we get ready for Spring! Working with our button foot, we'll sew all the buttons onto the visor sized specifically for you! 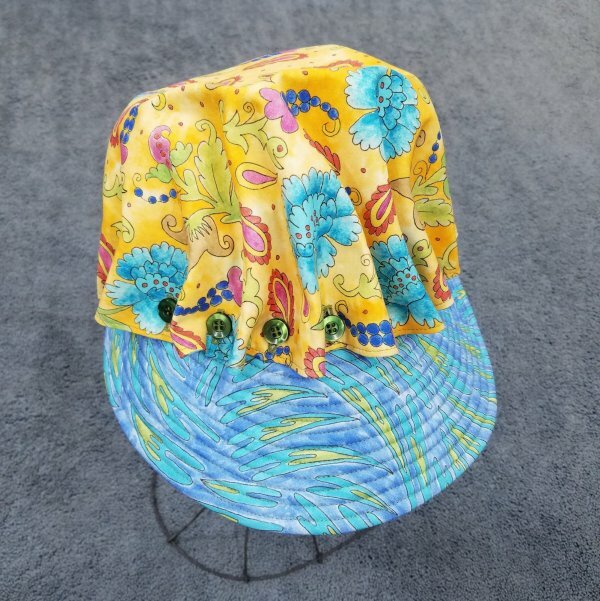 When you want a change, just unbutton the top, flip it over and re-button to the visor. Quick as a wink you have a new look! Your Annual Club Dues pays the class fee for BERNINA/Janome Club. You will normally need a kit and a few other basic supplies. Club is very important as you will learn about your machine and accessories that go with your machine. Come and join us, even if you don't like the project (but how could you NOT like it, LOL), you can gift it to someone else that would love it! Seating space is limited so you must call or come by the shop to reserve your spot: 850-689-3655 OR 850-682-6920. Click here to get your SUPPLY LIST for this class. Own a BERNINA or Janome machine. If you own another brand of machine, you are welcome to join us by "auditing" the class and then go home and tailor the class to your machine. 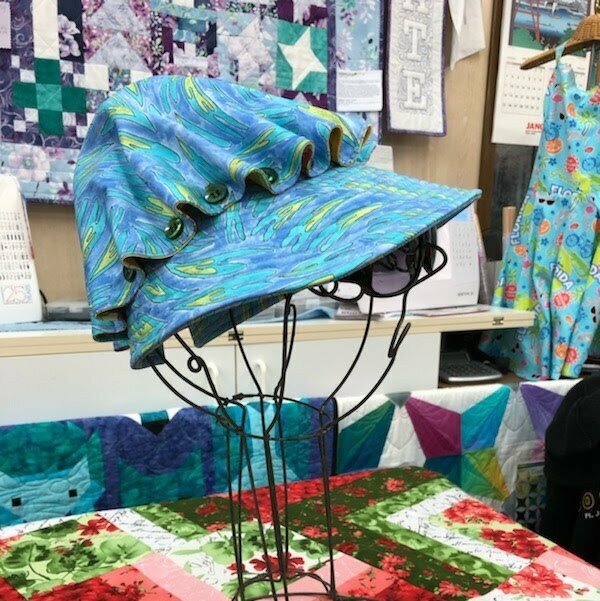 Merilee Kennedy has been teaching couture level handbags at our store for several years and is happy to share how to get professional results with your projects using modern materials and hardware! She loves all the latest tools and goodies that make our sewing easier and/or gives us more professional results! She is always looking for the newest innovations to share with us.